Jammu: At least four civilians were killed while 35 others, including three BSF personnel, injured as Pakistan on Wednesday yet again violated the ceasefire and heavily shelled forward villages in three districts of Jammu region along International Border. 'Pakistan on Wednesday early morning again opened firing on more than 30 Border Outposts in three districts including Kathua, Samba and Jammu,' official sources here told UNI. They said that four civilians had died in the cross-border firing in Hiranagar sector of Kathua, Samba sector and R S Pura sector of Jammu. 'Pakistan is firing 120 mm and 180 mm mortars with automatics and small arms in Hiranagar, Arnia, R S Pura and also in Kanhachak areas of all the three districts,' said an official. On Tuesday, 13 civilians sustained injuries in fresh escalation on border as Pakistan shelled border hamlets and targeted more than 20 border outposts in Jammu and Samba sectors. 'Two civilian deaths have been reported in Samba sector while one killed in Bobiya area of Hiranagar in Kathua and in the morning, one person was killed in R S Pura sector of Jammu,' official sources here told UNI. SSP Kathua Sridhar Patil said that one person identified as Ram Pal, resident of Bobiya, Hiranagar had died in cross-border firing while firing is still on. 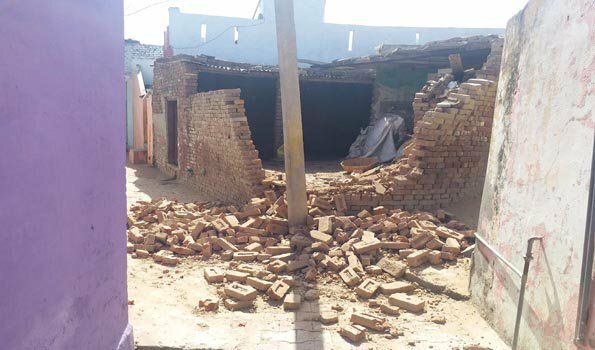 Meanwhile SSP Samba Anil Magotra said that two civilian deaths were reported in the area besides some injuries. He said that police teams and administrative officers are on job and have launched rescue operation to shift injured to the hospital. SSP of Jammu headquarters Ramesh Kotwal said that one civilian had died in the morning in R S Pura while two persons were injured in Arnia sector. “Firing is still on,” he added. Jammu and Kashmir Director General of Police S P Vaid had tweeted, 'In a night long shelling/firing from across the border at Jammu International Border Kathua to Akhnoor so far, four deaths have taken place and 30 injured, very sad indeed.' Official sources said that Pakistani Rangers resumed heavy mortar shelling in Arnia sector after a few hours break, which lasted throughout the night and is still continuing. Some of the injured were identified as Shamo Devi, 35, resident of Glar, Samba, Child namely Krishna, while three BSF personnel also suffered injuries and have been shifted to the Ramgarh hospital after evacuation. The jawans were posted at Ballad forward post in Samba, they added. Meanwhile, District Administrations has made elaborate arrangements to provide basic facilities to those migrated to temporary shelter camps established at R S Pura, Arnia, Samba and Kathua in government buildings. Around 1,500 villagers hit by border firing are camping in these shelters. Police and BSF personnel besides district administration men are on job and shifting injured to the hospital while people have been shifted to the safer locations. “The administration has made all required arrangements at the relief camps,” Arun Manhas, Additional Deputy Commissioner, Jammu here told UNI.